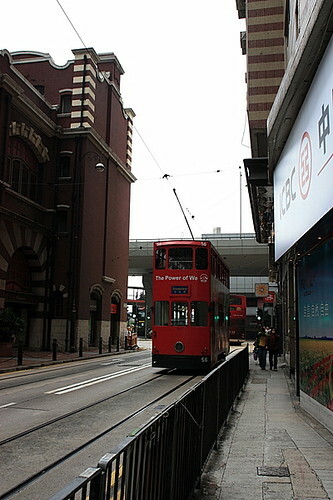 Did you know that HK ding ding tram is one of the cheapest ways to see Hong Kong Island? A journey costs only HKD 2 and you just need to pay as you leave the tram. You can pay with coins or just tap on your octopus card. Running along the northern side of Hong Kong Island for 16km between Shau Kei Wan and Kennedy Town, with a branch circulating the Happy Valley racecourse, the tram network is excellent. HK ding ding tram ride is an excellent way to see Hong Kong and I find the whole experience really enjoyable. During peak hour, we were packed like sardines into the tram, along with the locals. However, people come and go so we secured our seats in a short while. 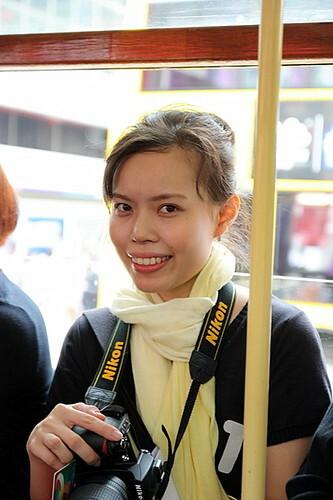 If you are interested in doing the same, refer to HK Tramway’s official webpage here. 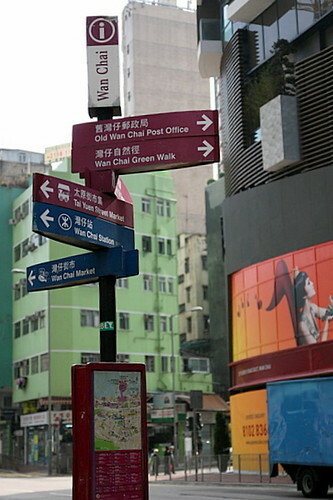 Another page that I found useful is this website where you can follow the tram route to explore some of the best Hong Kong’s culture and culinary experiences recommended by local celebrity Craig Au Yong. 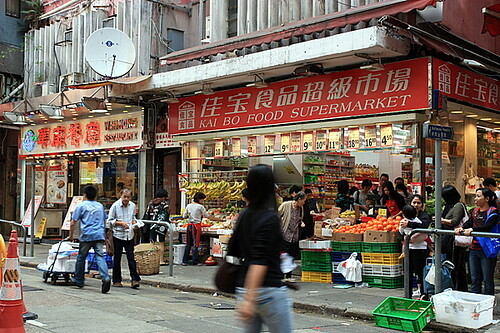 We began our journey at Wan Chai, which has evolved from a fishing village into the most famous district in Hong Kong. 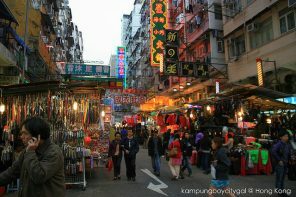 We took a stroll along the open-air stalls in the Tai Yuen Street Market, where the locals do their daily marketing here. It was followed by a brief visit to the Blue House, a preserved Grade-I heritage site that is home to a community museum and a handful of long-time residents. It was built in 1915 and now a resource centre. 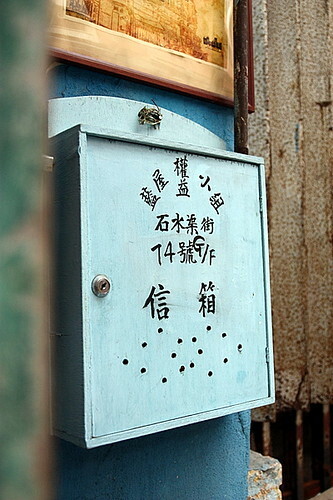 The letter pigeon holes are still preserved. We seek out for a bright blue building as we alighted at Queen’s Road East. 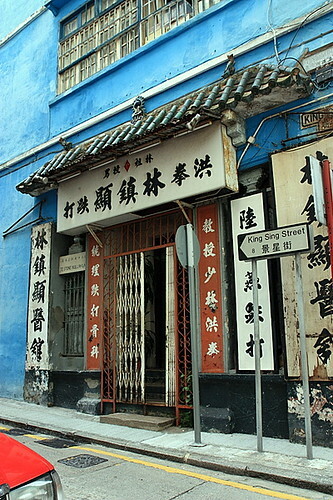 It is known as Blue House (藍屋) and was built before the war as a community medical centre. 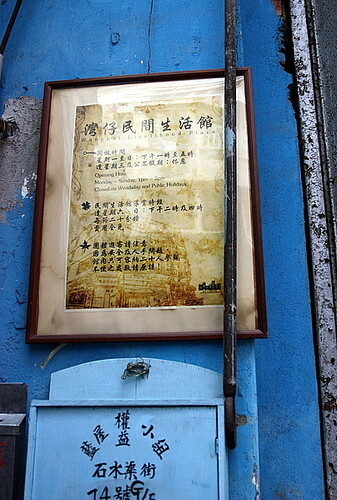 After the 1920s, it was converted into a four-storey residential building, then in the 50s and 60s, Kung Fu master Wong Fei Hung’s student, Lam Sai Wing, and his nephew launched their Kung Fu studio here. Now the Blue house is home to the Wan Chai Livelihood Museum where visitors can experience the old-time living quarters of the locals. 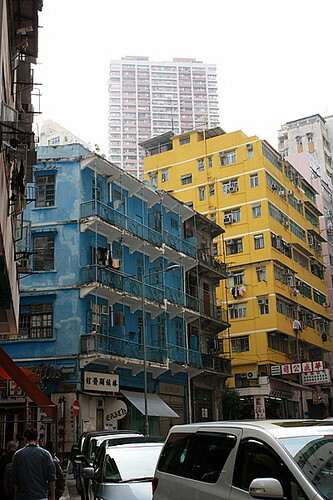 The Blue House is also one of the few remaining examples of Tong Lau of the balcony type in Hong Kong and is classified as Grade I historic building. 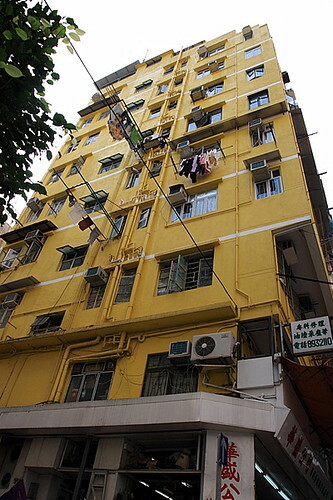 Another Tong Lau , the Yellow House, which sits on Hing Wan Street behind the ‘Blue House’ of Stone Nullah Lane. 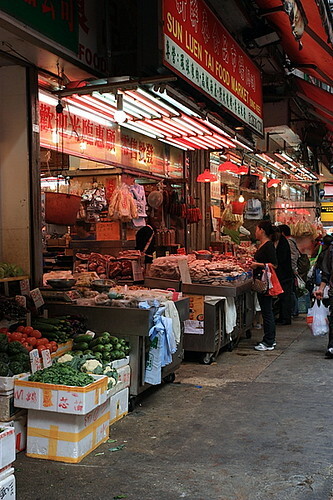 Discover the hustle and bustle, sights and sounds of Wan Chai’s street market. Our Wan Chai trail ended with a light breakfast at Honolulu, a 40 years old establishment in Wanchai that serves up typical Cha Chan Teng fare. 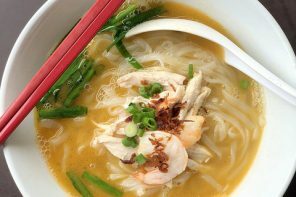 It is also a place where you can find people from all walks of life itching their scratch for milk tea, toasts and pork chop rice. 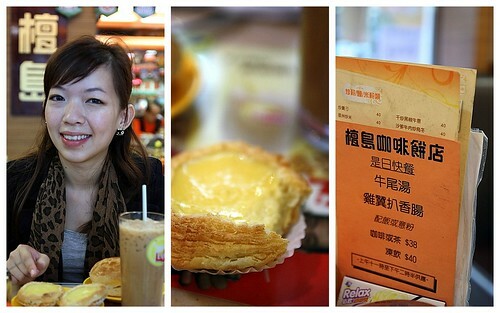 Read more about the flaky crust egg tart (酥皮蛋撻) that boasts of 192 layers from our previous post. 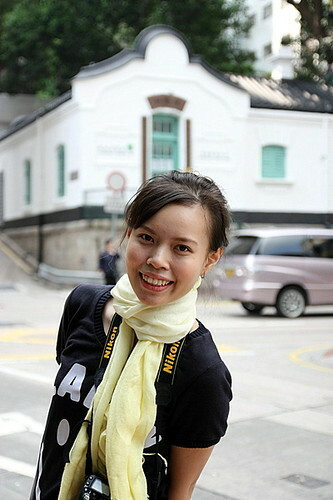 How do you like my Hong Kong “Heritage Trail”? 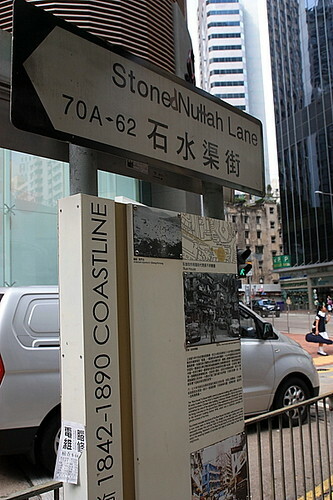 Central trail and Sheung Wan trail coming up next! Nice! 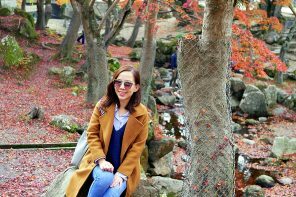 Will follow your advice if I happen to visit Hong Kong! Save costs! 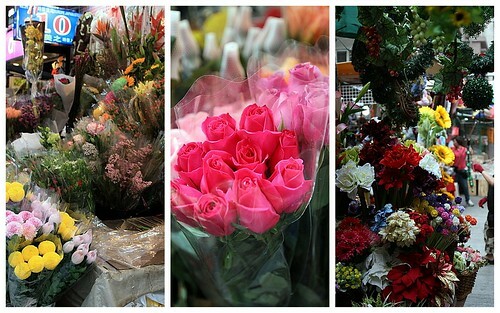 =) Nice photos by the way! .-= Wen Ching´s last blog ..Restaurant Etapes =-. Yupe. 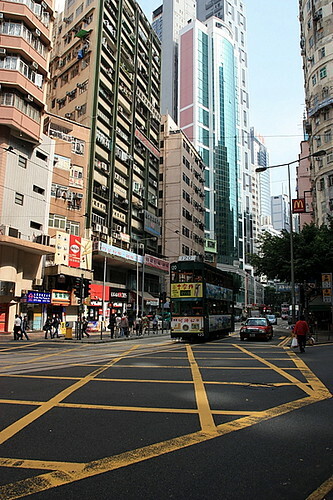 When in Hong Kong Island the most economical way to travel is by “ding ding”. Even my Hong Kong cousin recommend this, she’s like a HK public transport expert. .-= Simon Seow´s last blog ..High Flying Lifestlyle with Johnnie Walker =-. I am going to HongKong and Macao in December. My flight landing in Macao, then I have to take ferry to Hongkong. I already booked JJ hotel in Wan Chai. May I know how should I go to buy ticket from Macao to HongKong? And boarded which part of HongKong is more convenient to me? I know, I know! This must be the “n”th reviews that you have read about Plan B in the past few weeks or so….